The work of My Hope Chest’s and its founder Alisa Savoretti has been recognized many times with awards and media coverage. Locally MHC was featured on the cover of the Tampa Bay Times and Tampa Tribune’s October breast cancer issue. The charity has been recognized on many news stories on News10, ACTION News, FOX and others. Radio spots in 2014 include WFLA and CBS as well as several blog talk radio forums. Alisa’s Lopsided Showgirl story was featured in October 2016 in PEOPLE Magazine online. “O” Oprah Magazine Hero, Fitness Magazine Lead to Feature, and named as Reader’s Digest, one of the “Nine Names to Know in Breast Cancer” a huge national honor. 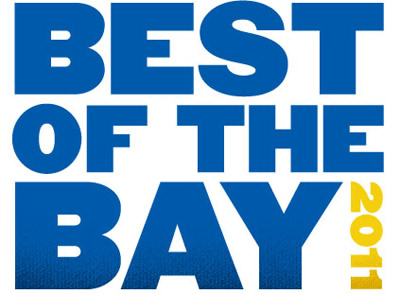 for Alisa include the 2012 Lightning Community Hero and Bay News 9 Everyday Hero, twice. Alisa was a 3 time finalist in 2010-12 for the Tampa Bay Business Journal’s Woman of the Year. She was the winner in 2013 of WEDU’s Be More Philanthropic (as was MHC’s surgeon in St. Petersburg, Dr. Antonio Gayoso.) The Tampa Bay Buccaneers honored the organization for Pink NFL Monday Night Football and MHC is currently, one of the charity beneficiaries for Hands Across the Bay’s “Tampa Bay’s ~ Dancing With the Stars” Oct. 3rd Event. Great local support has come from Ed Morse Automotive and partners like The Vinoy Hotel and Clearwater Beach Hyatt. National corporate support includes commercial co-venture campaigns with Warner’s Olga Bra and theThe Genie Bra, sold in 1800 Walmart stores. Dunkin Donuts and this year again in 2015, 2 Brighton Collectible stores have supported MHC’s October “Hope Floats for My Hope Chest” fundraising campaign with their Pink Program. March 2011 – International Women’s Day Outstanding Service Award, 100th Anniversary of International Women’s Day, hosted by The Women’s Information Network (The WIN). November 2014- My Hope Chest launches the “Butterfly gloWalk, 5K Fun Run and PaRty! May 2014-Warner’s Olga Bra joins with MHC for 2nd co-venture partnership with the “Butterfly Effect” bra raises $50,000. February 2013- Tristar Products, The Genie Bra partners for commercial co-venture campaign in nationwide Wal-Mart stores during breast cancer ACTION month. October 2012- Warner’s Olga Bra joins with MHC with $25,000 co-venture partnership. June 2011- The International Academy of Design and Technology honors My Hope Chest fro the 2nd year as their charity for their 26th annual “Imagine” fashion show. May 2010- Brenda Wiley is first patient to receive her surgery in New Orleans at The Center for Restorative Breast Surgery. November 2009 – Director of Plastic Surgery, Dr. Antonio Gayoso of St. Anthony’s Hospital in St. Petersburg, partners with MHC for reconstruction program. February 2008- Kazickas Family Foundation makes Donation to provide one surgery for an MHC patient. April 2007- Introduced new fundraiser “It’s Our Party” with comedian Rita Rudner. July 2004- My Hope Chest introduces new charity to Las Vegas community at Hooter’s kick off! CBS, NBC and ABC news teams cover the story. December 2003- My Hope Chest receives its 501c3 non-profit status six weeks after applying through the help of Founding Board members, Carolyn Stephens, Carolyn Muse Grant and Attorney Maria Nutile of the Southwest Nevada, NABOW organization, Las Vegas, NV. March 2012 and 2013 and 2017- Exhibitor – National Consortium of Breast Centers, Las Vegas. March 2006 – Charity recipient- “Women of Distinction Award”- Rio Hotel. Donations of $5,000 from NAWBO (the National Association of Women Business Owners) and $5,000 from Harrah’s Hotels Inc were raised from the event.